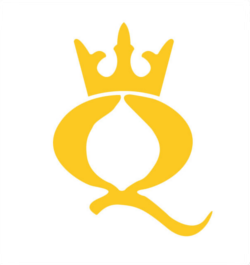 Marketing visionary Martin Lindstrom has been on the front line of the branding for over twenty years. In Brandwashed, he turns the spotlight on his own industry, drawing on all he has witnessed behind closed doors, exposing for the first time the full extent of the psychological tricks and traps that companies devise to win our hard-earned money. Lindstrom reveals eye opening details such as how advertisers and marketers target children at an alarmingly young age (starting when they are still in the womb), what heterosexual men really think about when they see sexually provocative advertising, how marketers and retailers stoke the flames of public panic and capitalize on paranoia over diseases, extreme weather events, and food contamination scares. It also presents the first ever evidence to prove how addicted we are to our smartphones, and how certain companies (like the maker of a very popular lip balm), purposely adjust their formulas in order to make their products chemically addictive, and much, much more. 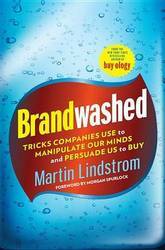 Brandwashed is a shocking insider's look at how today's global giants conspire to obscure the truth and manipulate our minds, all in service of persuading us to buy. The New York Times Bestseller named one of the Most Important Books of 2016 by Inc, and a Forbes 2016 Must Read Business Book 'If you love 'Bones' and 'CSI', this book is your kind of candy' Paco Underhill, author of Why We Buy 'Martin's best book to date. A personal, intuitive, powerful way to look at making an impact with your work' Seth Godin, author of Purple Cow Martin Lindstrom, one of Time Magazine's 100 Most Influential People in The World and a modern-day Sherlock Holmes, harnesses the power of small data in his quest to discover the next big thing. 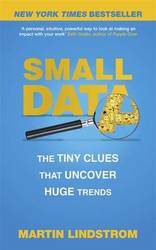 In an era where many believe Big Data has rendered human perception and observation 'old-school' or passe, Martin Lindstrom shows that mining and matching technological data with up-close psychological insight creates the ultimate snapshot of who we really are and what we really want. He works like a modern-day Sherlock Holmes, accumulating small clues - the progressively weaker handshakes of Millenials, a notable global decrease in the use of facial powder, a change in how younger consumers approach eating ice cream cones - to help solve a stunningly diverse array of challenges. In Switzerland, a stuffed teddy bear in a teenage girl's bedroom helped revolutionise 1,000 stores - spread across twenty countries - for one of Europe's largest fashion retailers. In Dubai, a distinctive bracelet strung with pearls helped Jenny Craig offset its declining membership in the United States and increase loyalty by 159% in only one year. In China, the look of a car dashboard led to the design of the iRobot, or Roomba, floor cleaner - a great success story. SMALL DATA combines armchair travel with forensic psychology in an interlocking series of international clue-gathering detective stories. 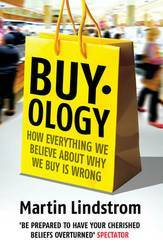 It shows Lindstrom using his proprietary CLUES Framework - where big data is merely one part of the overall puzzle - to get radically close to consumers and come up with the counter-intuitive insights that have in some cases helped transform entire industries. 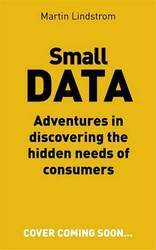 SMALL DATA presents a rare behind-the-scenes look at what it takes to create global brands, and reveals surprising and counter-intuitive truths about what connects us all as humans. Most anti-smoking campaigns inadvertently encourage people to smoke. The scent of melons helps sell electronic products. Subliminal advertising may have been banned, but it's being used all the time. Product placement in films rarely works. Many multi-million pound advertising campaigns are a complete waste of time. These are just a few of the findings of Martin Lindstrom's groundbreaking study of what really makes consumers tick. Convinced that there is a gulf between what we believe influences us and what actually does, he set up a highly ambitious research project that employed the very latest in brain-scanning technology and called on the services of some 2000 volunteers. Buyology shares the fruits of this research, revealing for the first time what actually goes on inside our heads when we see an advertisement, hear a marketing slogan, taste two rival brands of drink, or watch a programme sponsored by a major company. The conclusions are both startling and groundbreaking, showing the extent to which we deceive ourselves when we think we are making considered decisions, and revealing factors as varied as childhood memories and religious belief that come together to influence our decisions and shape our tastes. Praise and Reviews This is a must read book... Lindstrom provides fascinating stories taking you into the mental and emotional life of this new generation... - Philip Kotler, S C Johnson & Sons Distinguished Professor of International Marketing, Northwestern University, Kellogg School of Management BRANDchild will be a valuable addition to our industry's literature. - Lester Wunderman, Chairman Emeritus and founder of Wunderman Cato Johnson Lindstrom's fascinating tour-de-force may have you staying awake for 60 hours in order to mine the kids-focused marketing wisdom. - Stann Rapp, MRM Partners Worldwide and co-founder of Rapp Collins Tweens (8- to 14-year-olds) are an increasingly powerful and smart consumer group that spent $300 billion across the globe last year and influenced another $350 billion spend through their parents. 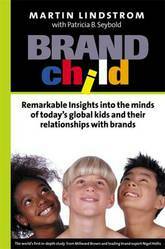 Based on the world's most extensive study of tween attitudes and behaviours, and now available in paperback, BRANDchild is the first book to look in-depth at the phenomena behind global kids and their relationships with brands. 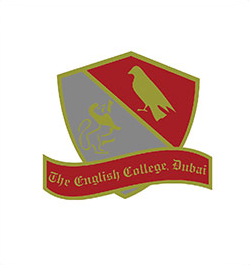 Conducted by Millward Brown, the leading global market research agency, the BRANDchild survey involved several thousand kids from more than 70 cities in 14 countries (throughout Europe, Asia, the United States and South America). Several renowned experts share their unique views on kids' trends and fascinating marketing techniques. Packed with practical advice on how to create kids' brands, including more than 50 previously unpublished case studies, BRANDchild proposes innovative ways of marketing to this young audience. 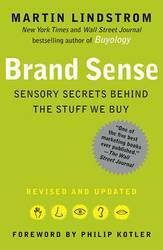 The definitive book on sensory branding, shows how companies appeal to consumers' five senses to sell products. Did you know that the gratifying smell that accompanies the purchase of a new automobile actually comes from a factory-installed aerosol can containing new car aroma? Or that Kellogg's trademarked crunch is generated in sound laboratories? Or that the distinctive click of a just-opened jar of Nescafe freeze-dried coffee, as well as the aroma of the crystals, has been developed in factories over the past decades? Or that many adolescents recognize a pair of Abercrombie & Fitch jeans not by their look or cut but by their fragrance? 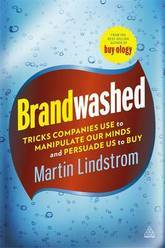 In perhaps the most creative and authoritative book on how our senses affect our everyday purchasing decisions, global branding guru Martin Lindstrom reveals how the world's most successful companies and products integrate touch, taste, smell, sight, and sound with startling and sometimes even shocking results. In conjunction with renowned research institution Millward Brown, Lindstrom's innovative worldwide study unveils how all of us are slaves to our senses--and how, after reading this book, we'll never be able to see, hear, or touch anything from our running shoes to our own car doors the same way again. An expert on consumer shopping behavior, Lindstrom has helped transform the face of global marketing with more than twenty years of hands-on experience. 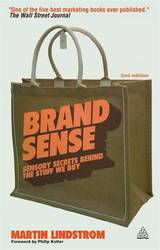 Firmly grounded in science, and disclosing the secrets of all our favorite brands, Brand Sense shows how we consumers are unwittingly seduced by touch, smell, sound, and more. Praise and Reviews: This is a must read book...Lindstrom provides fascinating stories taking you into the mental and emotional life of this new generation... (Philip Kotler, S C Johnson & Sons Distinguished Professor of International Marketing, Northwestern University, Kellogg School of Management). Brandchild will be a valuable addition to our industry's literature. (Lester Wunderman, Chairman Emeritus and founder of Wunderman Cato Johnson). Lindstrom's fascinating tour-de-force may have you staying awake for 60 hours in order to mine the kids-focused marketing wisdom. (Stann Rapp, MRM Partners Worldwide and co-founder of Rapp Collins). Tweens (8- to 14-year-olds) are an increasingly powerful and smart consumer group that spent $300 billion across the globe last year and influenced another $350 billion spend through their parents. 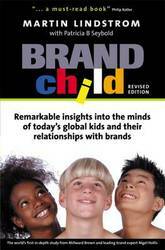 Based on the world's most extensive study of tween attitudes and behaviours, and now available in paperback, Brandchild is the first book to look in-depth at the phenomena behind global kids and their relationships with brands. 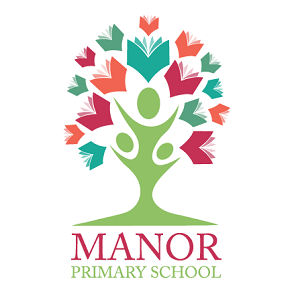 Conducted by Millward Brown, the leading global market research agency, the Brandchild survey involved several thousand kids from more than 70 cities in 14 countries (throughout Europe, Asia, the United States and South America). Several renowned experts share their unique views on kids' trends and fascinating marketing techniques.  Packed with practical advice on how to create kids' brands, including more than 50 previously unpublished case studies, Brandchild proposes innovative ways of marketing to this young audience. That gratifying new car smell is actually a manufactured new car aroma. The sound of Kellogg's cornflakes crunching in our mouths is created in sound labs. Singapore Airlines has patented the smell in its cabins. Branding has reached a new frontier. In the future brands will have to appeal to the neglected senses: touch, taste, and smell. 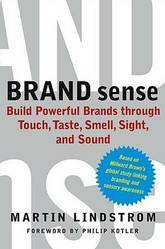 In this fully updated new edition of Brand Sense, Martin Lindstrom shows how it can be done. Drawing on the most extensive worldwide study ever conducted of the sensory perceptions of consumers, he shows how a two-sense product can become a five-sense phenomenon. With a foreword from Philip Kotler, this groundbreaking book provides innovative branding tools for evaluating where a brand is on the sensory scale, analyzing its sensory potential and giving it a clear pathway to optimize its sensory appeal. Companies like Cadillac, Apple, Mercedes-Benz, Nokia, Louis Vuitton, Nestle and Disney have all recently adopted a sensory approach, and have seen their brands sizzle under this new direction. Anyone who wants a competitive edge can't afford to neglect this book. It's guaranteed to optimize the value of any marketer's budget in the most visionary way. Even the faintest whiff of lemon sells cleaning products. Negative messages from politicians win votes. Product placement in films rarely works. Many multi-million pound advertising campaigns are a complete waste of time. These are just a few of the findings of Martin Lindstrom's groundbreaking study of what really makes consumers tick. 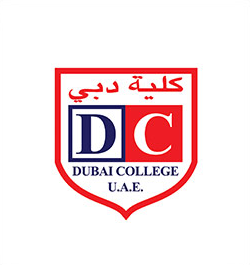 Convinced that there is a gulf between what we believe influences us and what actually does, he set up a highly ambitious research project that employed the very latest in brain-scanning technology and called on the services of some 2000 volunteers. 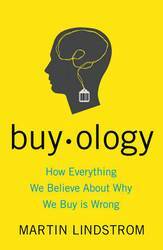 Buyology shares the fruits of this research, revealing for the first time what actually goes on inside our heads when we see an advertisement, hear a marketing slogan, taste two rival brands of drink, or watch a programme sponsored by a major company. The conclusions are both startling and groundbreaking, showing the extent to which we deceive ourselves when we think we are making considered decisions, and revealing factors as varied as childhood memories and religious belief that come together to influence our decisions and shape our tastes. International business legend Martin Lindstrom reveals what the world's most successful branding companies do differently - integrating touch, taste, smell, sight, and sound - with startling and measurable results. Based on the largest study ever conducted on how our five senses affect the creation of brands, Brand Sense explains Martin Lindstrom's innovative six-step program for bringing brand building into the twenty-first century. Drawing on countless examples of both product creation and retail experience, Lindstrom shows how to establish a marketing approach that appeals to all the senses, not simply the conventional reliance on sight and sound. Research shows that a full 75 percent of our emotions are in fact generated by what we smell, and the author explains how to capitalize on that insight. Included are innovative tools for evaluating a brand's place on the sensory scale, analyzing its future sensory potential, and enhancing its appeal to reach the broadest base of consumers. Lindstrom lists the top twenty brands for the future based on their sensory awareness. 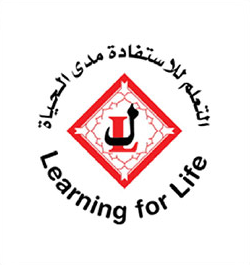 Martin Lindstrom is one of the world's top entrepreneurial visionaries, who has changed the face of global marketing with twenty years of hands-on experience as an advertising CEO and adviser to Fortune 500 companies. Firmly steeped in scientific evidence and featuring sensory secrets of the most successful brand names, this book reveals how to transform marketing strategies into positive business results that no brand builder can afford to ignore. 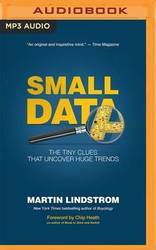 In an era where many believe Big Data has rendered human perception and observation 'old-school' or passe, Martin Lindstrom shows that mining and matching technological data with up-close psychological insight creates the ultimate snapshot of who we really are and what we really want. He works like a modern-day Sherlock Holmes, accumulating small clues - the progressively weaker handshakes of Millenials, a notable global decrease in the use of facial powder, a change in how younger consumers approach eating ice cream cones - to help solve a stunningly diverse array of challenges. In Switzerland, a stuffed teddy bear in a teenage girl's bedroom helped revolutionise 1,000 stores - spread across twenty countries - for one of Europe's largest fashion retailers. In Dubai, a distinctive bracelet strung with pearls helped Jenny Craig offset its declining membership in the United States and increase loyalty by 159% in only one year. In China, the look of a car dashboard led to the design of the iRobot, or Roomba, floor cleaner - a great success story. 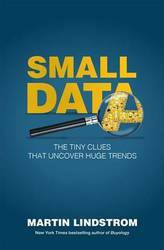 SMALL DATA combines armchair travel with forensic psychology into an interlocking series of international clue-gathering detective stories. 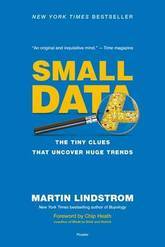 It shows Lindstrom using his proprietary CLUES Framework - where big data is merely on part of the overall puzzle - to get radically close to the consumer and come up with the counter-intuitive insights that have in some cases helped transform entire industries. 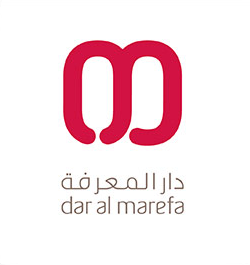 SMALL DARA presents a rare behind-the-scenes look at what it takes to create global brands, and reveals surprising and counter-intuitive truths about what connects us all as humans.